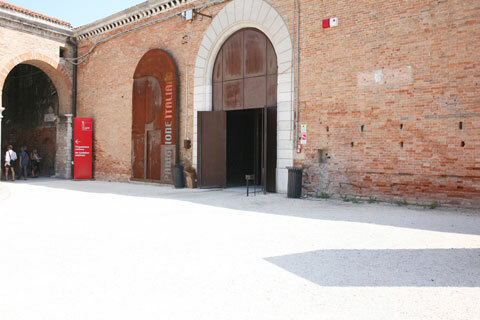 Is "Biennale di Venezia" reflecting current trends in contemporary art? 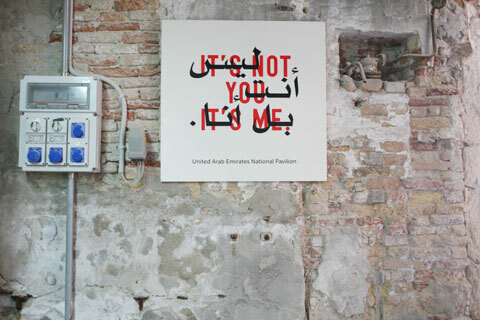 As I am currently in Europe, I did not want to miss Biennale di Venezia di Arte contemporanea (Venice contemporary art Biennial), which is after Dokumenta Kassel considered to be the most important contemporary art event. One of the concepts I particularly liked is Aleksandra Mir's project of printing fake Venice-cards that contained unrelated images. The cards were free and meant to be sent out by visitors. This is a great project that reaches a big public even out of the actual exhibition space. Although I liked some of the artist's work, my overall impression is rather delusive. I expected to see more technology based art. 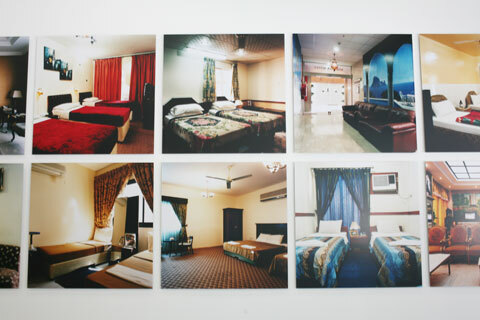 Lucas Samaras, representing Greece, was one of the few using "new" mediums, with his multimedia installation "Parazena" that features photo and video work. However, paintings or installations were the common mediums. According to this huge contemporary art event technology based art seems not to be in the trend of contemporary art. Strangely enough, in Canada, for instance, most grant programs for artists are only open for those who work with innovative technology. Is it possible that Biennale di Venezia di Arte contemporanea is no longer reflecting today's art trends? Maybe current trends are rather to be found in university graduation shows of art and design related fields or at conferences, as for example Siggraph's technology based arts space. An alternative could also be to visit blogs like we-make-money-not-art.com to get to know current contemporary art trends. The Biennial had indeed a huge body of "decorative" art to explore. For example, the Italian pavilion featured mostly paintings, and one was wondering if he got lost in some 1980ies art show. According to art critics' opinions, most of the exhibited painters are the curators' friends. I also had the impression that either not enough artist could be selected for the Biennial or there was too much empty space available that the curators tried to fill in. In case of Georges Adeagbo's work the same installation was repeated a few times in the same pavilion. Georges Adeagbo's work is interesting, but I cannot see the point why his extra space cannot be preserved to feature a further artist's work. The same type of critique goes to those artists that receive gigantic sponsoring for in my opinion "weak" messages. This applies especially to the national pavilions that reserve most of the time the Pavilion for one artist. 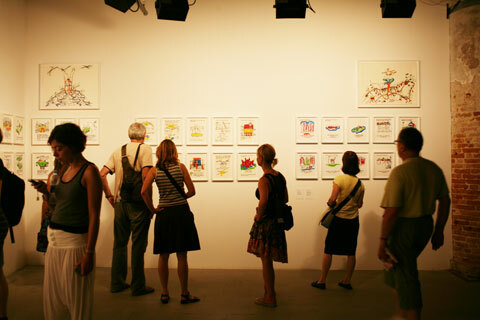 Wouldn't it be richer for visitors and participants to give a chance to more than one artist? Jan Fabre's work occupies two huge pavilions and its installations must have been very expensive. Former Biennial work from previous years was exposed, too. I did not understand why. If I am interested in former exhibitions, I can go experience them in books or archives. Maybe there should just be an update on current curators to make sure that the actual trends in contemporary art will be considered in such an important contemporary art event the Biennial claims to be. Or maybe the Biennal needs to consider new ways of definition. Perhaps there should be a specific Biennial for technology based art, and one for traditional mediums such as paintings and installations, etc. I have to admit, small events or exhibitions can be far more interesting than the Venice event. A current small exhibition in Munich entitled Crossing Munich has impressed me by its conceptual, technological and aesthetic quality. Compared to this Venice Biennial has a long way to go to. 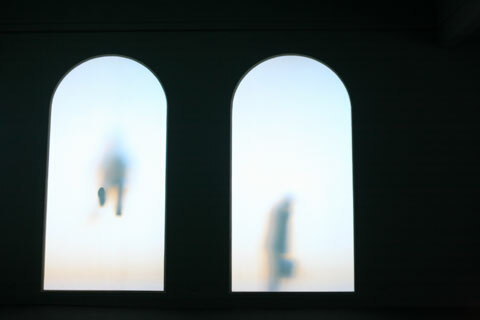 So far, the next Venice Biennale in 2011 is not on my to-do list. Polish Pavilion: Krzysztof Wodiczko's projection featuring immigrants based in Poland and Italy.